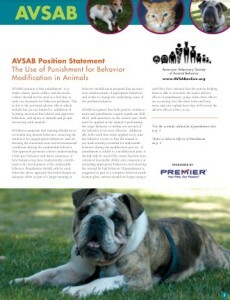 If you would like to order color copies of any of the position statements below, click on the following link and fill out the form on the following page or feel FREE to take the Printable PDF version below to your local print shop for copies. 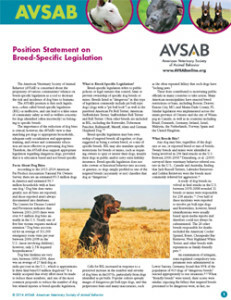 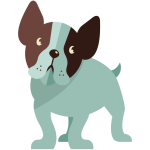 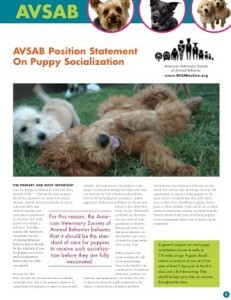 AVSAB promotes positive interactions between pets and people. 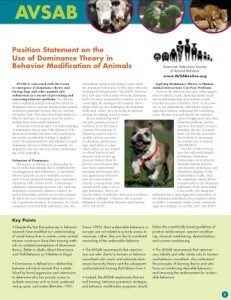 We believe all people—even vets!—can learn better ways to interact with our animals. 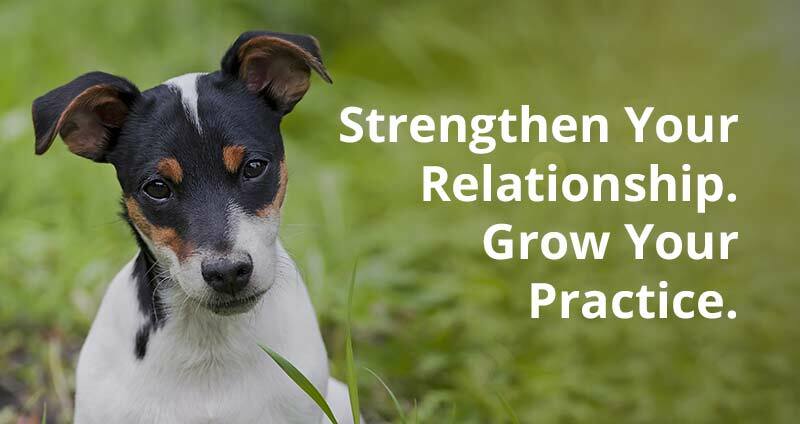 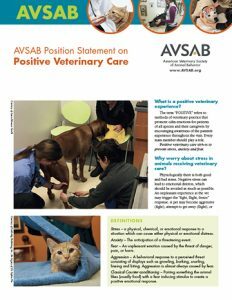 This paper explains the down side of the stress animals experience when they visit our clinics, and offers suggestions and resources for the entire veterinary team to reduce the stress and increase the fun. 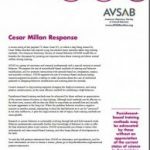 This statement was developed as response to the episode of the television show Cesar 911 which raised questions about the use of humane training methods.